Vincenzo Di Russo's [MVP IE] Blog - Troubleshooting Windows Internet Explorer. 1. Does the behavior persist in No Add-ons mode? "Troubleshooting and Internet Explorer's (No Add-ons) Mode". "How do browser add-ons affect my computer?" "Tips for solving problems with Internet Explorer". If disabling add-ons doesn't solve the problem, try resetting Internet Explorer back to its default settings. This removes all changes that have been made to Internet Explorer since it was installed, but it does not delete your favorites or feeds. 1. Close all Internet Explorer or Windows Explorer windows. 2. Open Internet Explorer by clicking the Start button, and then clicking Internet Explorer. 3. Click the Tools button, and then click Internet Options. 4. Click the Advanced tab, and then click Reset. 6. When you are done, click Close, and then click OK.
7. Close Internet Explorer and reopen it for the changes to take effect. - For Internet Explorer 8, see Reset Internet Explorer 8 settings. - For Internet Explorer 7, see Reset Internet Explorer settings. "Internet Explorer stops responding, stops working, or restarts". 4a. "How to troubleshoot Internet Explorer issues in Windows Vista and in Windows XP". 4b. "How to optimize Internet Explorer"
"How do I uninstall or remove Internet Explorer 8?" "HOW TO solve IE8 installation problems"
6c. 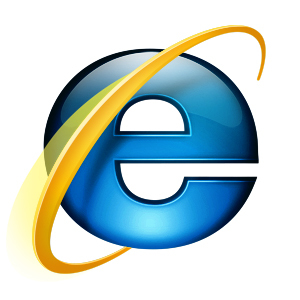 No-charge support for Internet Explorer 8 installation, set-up and usage (only) is available via the phone based on your locale through 31 December 2009. 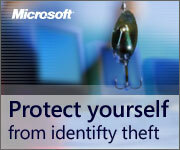 Customers must be running Windows XP or Windows Vista in a non-domain environment. US & CA Residents: 866-234-6020.